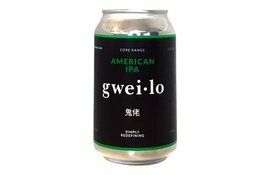 Gweilo American IPA is a tropical hop bomb. We use an insane amount of Simcoe, Chinook and Eureka to create a juicy, citrus explosion. The pale malt base of this IPA allows the hops to steal the limelight and fire up your taste buds.